Is it the responsibility of the Owner of a building, or the responsibility of the Company who’s renting the building, to provide a public toilet for the workers? Normally the owner because the owner will have to submit plans etc. Unless there is something to the contrary in your lease agreement. Note too that there must be a certain number of toilets per workers. I’m working in the compliance department of my firm and was wondering what is the regulations regarding the evacuation of physically impaired employees. Evacuation as such is not covered by the NBR. I’m not sure what to suggest. Hi Penny, can one motivate not to make provision for the physically handicapped? It sounds terrible but the senario is that the buiding in question accommodates seasonal fruit pickers during the 3 month picking season on a fruit farm. The very nature of the job requires the picker to climb a ladder in order to pick fruit thus rendering the disabled facilities redundant. Yes Simon you probably can, for the very reasons you give. The buildings that don’t automatically require facilities for disabled people are mainly those that are classified for “high risk” use of various kinds. Also H1 (“hotels” where people rent furnished rooms) don’t require them if there are less than 25 bedrooms. Or H3 without a lift – which are residences with two or more dwelling units on a single site. H Zay, The zoning regulations are very different in every municipality and zone, so your local council will be the only ones that can answer your zoning question. As for registering as an owner builder the restrictions on owner builders is that you may not sell the property for a period of 5 years after construction. does not even mention pavements or walkways. There were 15 matches, all of which relate to materials and techniques that should be used for construction. There were two matches, one relating to design and the other to the safer of machinery used when working on walkways. So on a site that focuses on published building standards, there would be absolutely no point in having a section on pavements and/or walkways. CLICK HERE for some more information on the legislation about facilities for disabled people (SANS 10400). I have also looked more closely at SANS 10400-S: Facilities for persons with disabilities. 1. My search for “pavement” didn’t reveal much other than: “The recommended surface between a pavement and roadway is a ramp fitted with tactile guidance surface indicators. 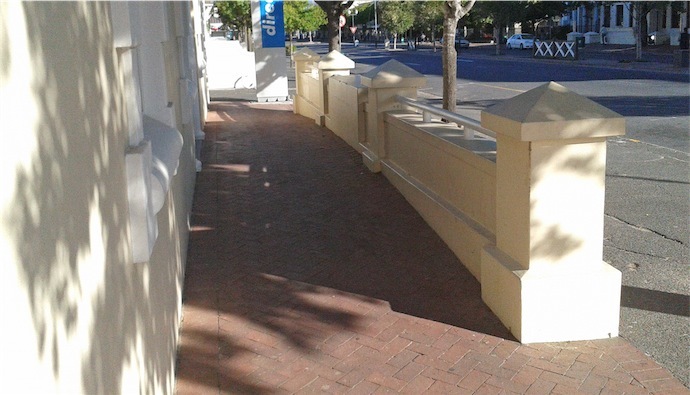 This provides a safe and trafficable surface for wheelchair users, and a detectable surface to indicate to persons with visual impairments that they are leaving a pedestrian footpath and entering a traffic roadway”. This is an International Standard and it sells for R881.60. I don’t have a copy. Chances are you might find the information you need here – and you will be able to access it free if you go to an SABS library. However, it does state “in buildings” so may not cover pavements and walkways! I really don’t know. Your local authority will probably also have bylaws that apply. So give them a call. In fact I think they are probably your best bet! Does the act also state that all buildings must be fitted with a lift, and what about older buildings? You have given very little information for us to give you any advice. I suggest that you contact your Local Council offices and speak to someone in the Building Planning Department and they will be able to help you. I am a student studying my masters in Architecture. I am currently researching on facilities required for disabled people. Is it possible for me to receive a presentation regarding the facilities for disabled people. i am highly intrested in the regulations required. I suggest that you contact the SABS in your area directly and go to the nearest office. They are very helpful and you can view the regulations in their library and make notes. I understand they have a special price for students who need to purchase regulations for their studies. Their contact details are on our SABS-Contact page. 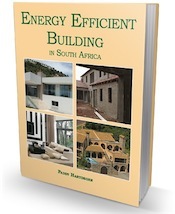 I’m an architecture masters student at UKZN and am lookign to get hold of the national building regs. Is this possible? The legislation and its amendments is available via this web site for free download. Go to Links & Downloads. But I think you are wanting a copy of the Deemed to Satisfy “rules” that are published by the SABS. You can purchase via their web site or directly from them. Their Durban tel number is 031-203 2900. You’d probably be better off going to their offices. Go to their library and ask to see SANS 10400. Each section is published separately and has a different price tag. The public is allowed to read the documents in the library, and if you want to make notes, take a laptop and work there. I have done this many times in the Cape Town branch. They are incredibly helpful.